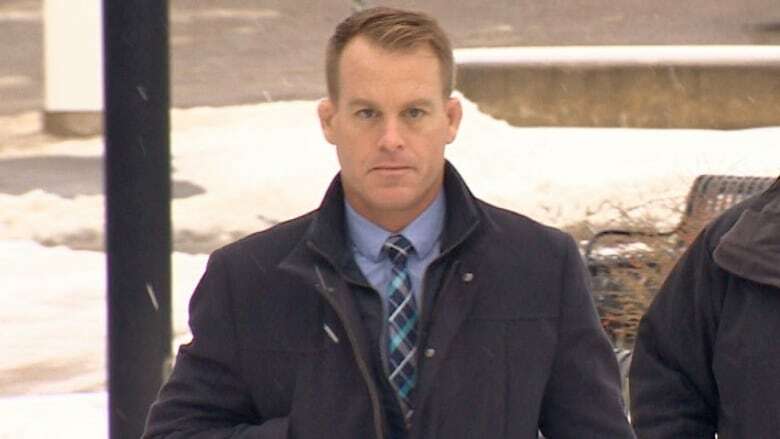 Dennis Oland's defence team fought to have the videotaped statement he gave to Saint John police the day his father's body was discovered deemed inadmissible at his murder retrial, arguing it wasn't voluntary and that it violated his Charter rights, court documents reveal. The defence argued Oland was "psychologically detained" by the Saint John Police Force (SJPF) from the start of the interview on July 7, 2011, or became so during the course of the "progressively more pointed questioning," and was not cautioned or advised of his Charter rights. For Oland's first trial in 2015, which ended in a guilty verdict, the defence and Crown had agreed to submit video of only the first half of his approximately five-hour-long interview with police. The jury never saw the second half, which shows police interrogating Oland. It was, however, subsequently made public through the media, once the jury was sequestered to deliberate and a publication ban was lifted. For Oland's retrial for second-degree murder in the bludgeoning death of his father, Richard Oland, the Crown sought to once again have only the first half of the statement admitted into evidence. But on March 12, the defence applied for an order to exclude the statement in its entirety, the court documents, previously under a publication ban, show. They argued Oland's statement was "not the product of a meaningful, informed choice." When Oland, now 50, agreed to go to the police station, he was led to believe he was simply there to assist the investigation by providing insight into his father's character, activities, and routines, they said. Officers "obfuscated" the fact they were investigating the multimillionaire's death as a murder and that his son was the last known person to see him alive when he visited him at his office on July 6, 2011, around 5:35 p.m. The body of the 69-year-old was discovered in the office the next morning, shortly before 9 a.m., lying face down in a pool of blood. He had suffered 45 sharp- and blunt-force injuries to his head, neck and hands. Dennis Oland "did not know that, as a result of these facts, he was more than just a witness when he attended the police station on July 7, 2011 — indeed, he was already the subject of a focused investigation and suspicion that he could have been involved in the murder of his father," a defence brief filed with the Court of Queen's Bench on July 9 states. They pointed out Const. Stephen Davidson testified he considered Oland a "potential suspect" at the beginning of the statement and told him several lies, which the officer acknowledged was a common ploy used in the questioning of suspects. For example, after leaving Oland alone for a few minutes, Davidson told him "some new information" had come in. He also told Oland there were security cameras inside his father's office building at 52 Canterbury St. Even before the interview started, the defence noted, officers had run background checks on Oland, looking for any criminal record, his address and motor vehicle information. The head of the major crime unit had also looked into putting him under surveillance. 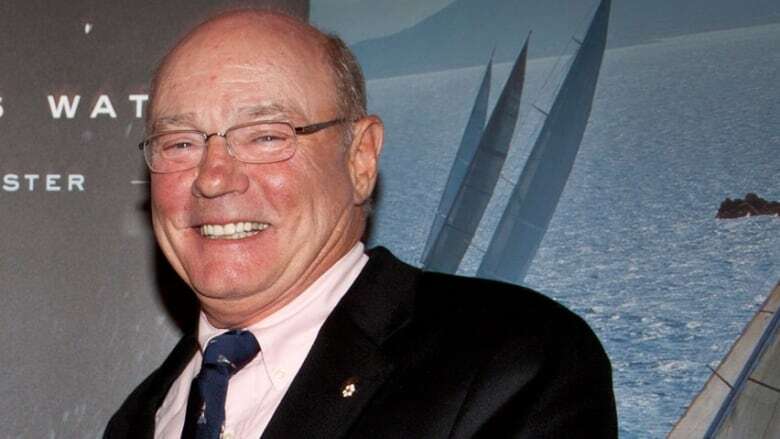 During the early stages of the interview, when Oland mentioned he had stopped at the Renforth wharf on his way home from visiting his father, an officer was promptly dispatched there to look for any evidence, they added. "The defence respectfully submits the SJPF's focused investigation and suspicion of Dennis Oland on July 7, 2011 was such that he ought to have been cautioned at the outset of his interview" that he "need not say anything" and that anything he said "may be given in evidence." At the very least, they argued, Oland should have been cautioned within the first hour, once the major crime unit officers had their first "strategy session" around 7:30 p.m., the brief states. But Oland was not advised his statement was voluntary or that he could leave at any time, the lawyers said. He was "psychologically detained," they submitted, citing the fact he didn't touch his cellphone after Davidson asked him to hand it over and that he believed he needed to ask Davidson for permission to use the washroom. 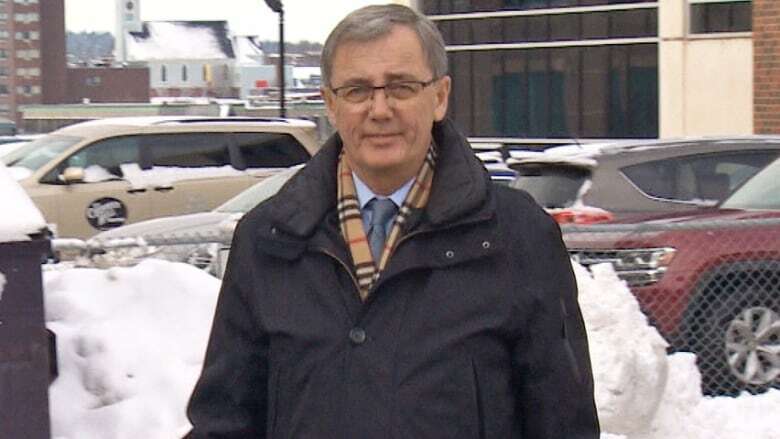 Police didn't caution or advise Oland of his Charter rights until nearly two-and-a-half hours into the interview, "thereby violating his Charter rights," the defence said. And after police did caution Oland, the lawyers alleged, officers interfered with his ability to retain and instruct a lawyer and "thus detained him without legal authority." Once Oland was cautioned at 8:25 p.m., and was "finally in a position to make a meaningful, informed choice whether to speak to the police based on an appreciation of what was at stake, he resolutely exercised his right to remain silent for the remainder of the interview," which ended at 11:01 p.m., the defence stressed. Since Oland's statement was "obtained in a manner that infringed his rights," they argued, admitting it into evidence would "undermine the integrity and repute of the trial process." The jury would be exposed to "the powerful and highly prejudicial narrative that Mr. Oland had a poor relationship with his father and therefore killed him," they added. Justice Terrence Morrison dismissed the defence's application to have the statement thrown out after hearing oral arguments from the Crown and defence at a series of hearings between April and July and reviewing written submissions, which were under a publication ban until Nov. 20, when he declared a mistrial of the jury retrial and discharged the jury. The "probative value" of the statement "outweighs any prejudicial effect it might have," he ruled on Oct. 10, less than a month before the retrial was originally scheduled to begin. "In my view, society's interest in having this matter adjudicated on its merits weighs heavily in favour of admission of the evidence." Morrison agreed with the defence that the questioning by police switched from a general statement into a focused interrogation, amounting to psychological detention. "Viewing the statement, it is clear that Mr. Oland was subjected to a relentless and aggressive interrogation," he said. Nevertheless, he found ​no violations of Oland's Charter rights — either before or after he was cautioned. "Even if I had concluded that there were Charter breaches (and I have not), I would admit the evidence," Morrison wrote. The judge ruled Oland's statement is "highly probative" of the issues of motive and identity and "critically important to the Crown's case." He noted information from the statement formed the basis of police applications for search warrants and production orders, and that exclusion of the statement would jeopardize the admissibility of evidence obtained. "Should that occur, the consequences for the Crown's case are apparent." Morrison wrote in his 85-page decision. A jury found Oland guilty in December 2015 and he was sentenced to life in prison with no chance of parole for at least 10 years, but the New Brunswick Court of Appeal overturned the conviction in October 2016, citing an error in the trial judge's instructions to the jury. Oland is now being retried by Morrison alone, without a jury. The retrial, which began on Nov. 21, is scheduled to last four months.